Riverboats Music Festival has announced a stellar lineup for 2019 with The Waifs, Augie March, Mark Seymour & The Undertow, Don Walker and Jen Cloher set to perform by the sun-drenched banks of the Murray from 15 – 17 February. Taking place across three glorious summer days in the twin towns of Echuca-Moama, the Murray River's popular award-winning music festival will feature some of the most exciting names in Australian music, staged in a natural amphitheatre under towering river red gums. In a festival first, Tex Perkins and the Tennessee Four will take to the Riverboats stage in Far From Folsom, his award-winning show embodying Johnny Cash's iconic performances at Folsom and San Quentin prisons in the late 1960s. The 2019 lineup of homegrown Aussie talent will also include Deborah Conway and Willy Zygier, Gabriella Cohen, Fraser A. Gorman, The Public Opinion Afro Orchestra, The Kill Devil Hills, Benny Walker and Leah Senior. Rockwiz's Brian Nankervis will once again take the reins as Festival MC. Festival Director David Frazer said he was thrilled that Riverboats would again be presenting the finest in Australian music talent. "After winning Gold for Best Festival at last year's QANTAS Australian Tourism Awards, we are so excited to once again be bringing together a phenomenal lineup of artists in 2019. "Over one incredible weekend the Riverboats audience can expect to sing along to Hunters and Collectors' classics with Mark Seymour on the Friday night before blissing out to the sublime, Joni-Mitchell-esque vocals of Leah Senior on the Sunday. They'll wear out their dancing shoes to Nigerian funk outfit the Public Opinion Afro Orchestra on Saturday afternoon before Tex Perkins channels Johnny Cash and takes us behind the walls of Folsom Prison in the 1960s. 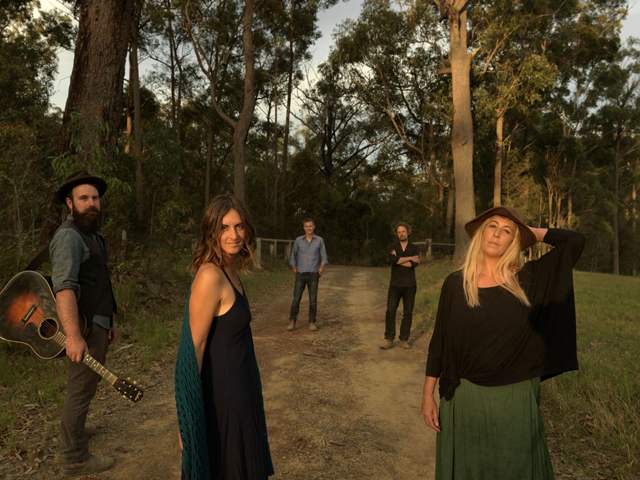 And to finally be presenting Australian folk darlings The Waifs to close Riverboats in style is something we're particularly excited about." Riverboats famous paddlesteamer sideshows are set to return in 2019. In partnership with the historic Pride of the Murray paddlesteamer, Riverboats is the only music festival in the country giving festival goers the opportunity to experience a one-hour music-laden cruise down Australia's longest river. These one-of-a-kind paddlesteamer sideshows will include intimate acoustic performances from legendary singer-songwriters Deborah Conway & Willy Zygier, celebrated indigenous artist and Echuca local Benny Walker, Melbourne singer-songwriter Fraser A. Gorman and folk artist Leah Senior. In addition, Riverboats' beloved Annual Festival Breakfast returns to the Beechworth Bakery on Sunday 17 February with live sets by Benny Walker. One of the weekend's hot-ticket events, the Festival Breakfast sells out each year and punters are encouraged to book early. Just two and a half hours north of Melbourne, Echuca-Moama boasts a broad range of accommodation choices within walking distance of the festival site, from local camping and caravan options to five-star serviced apartments, Air BnBs, houseboats, backpackers and quality motels.